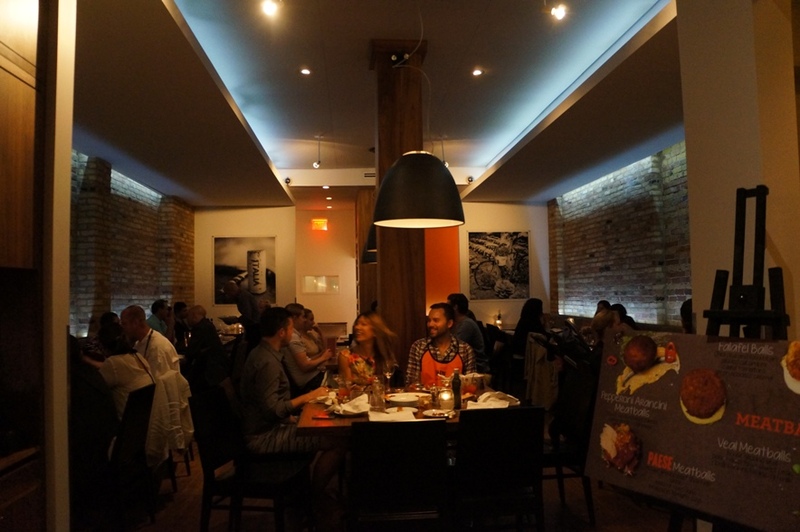 Located on King Street between Peter and John, Paese (@PaeseRistorante) has recently launched a late night meatball menu. 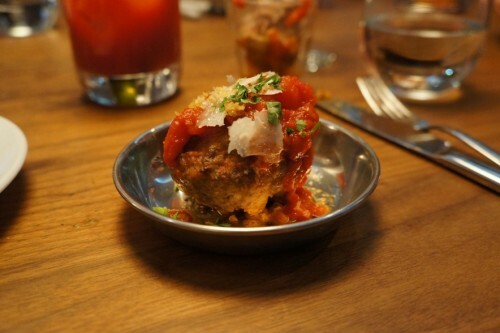 To celebrate, I attended their “Messy Meatball Monday” party last week. 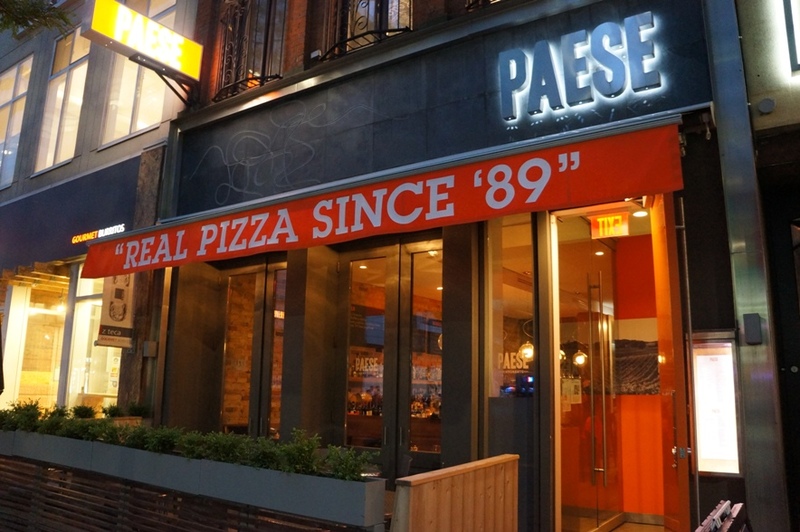 Paese’s philosophy is “Inspired in Italy, Made in Canada.” Using traditional Italian techniques, they’ve created a modern menu here. The man behind the reigns is Chris Palik (@ChefPalik), the executive chef of the L-eat Group. 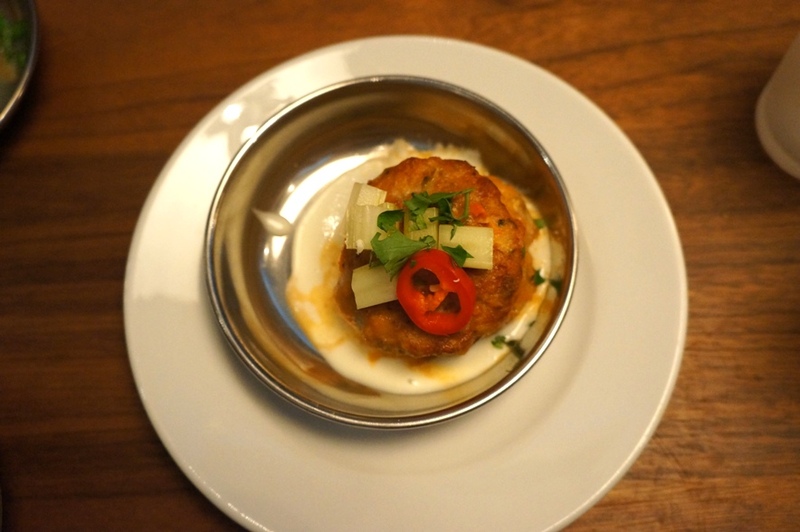 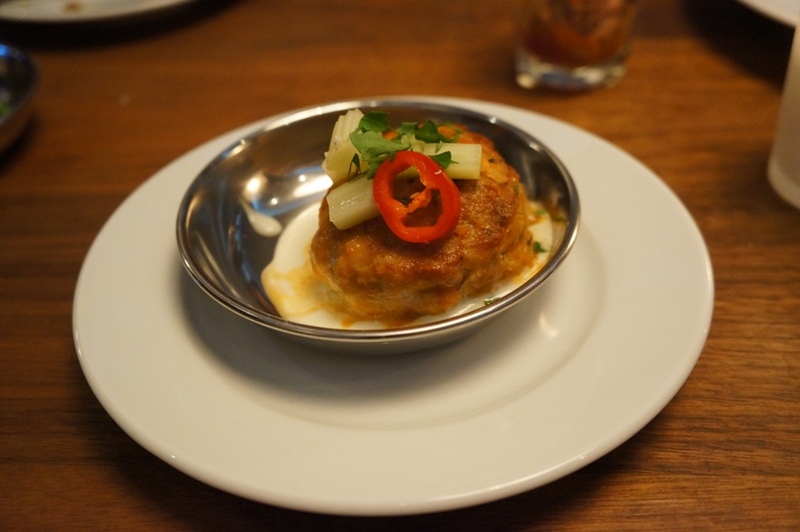 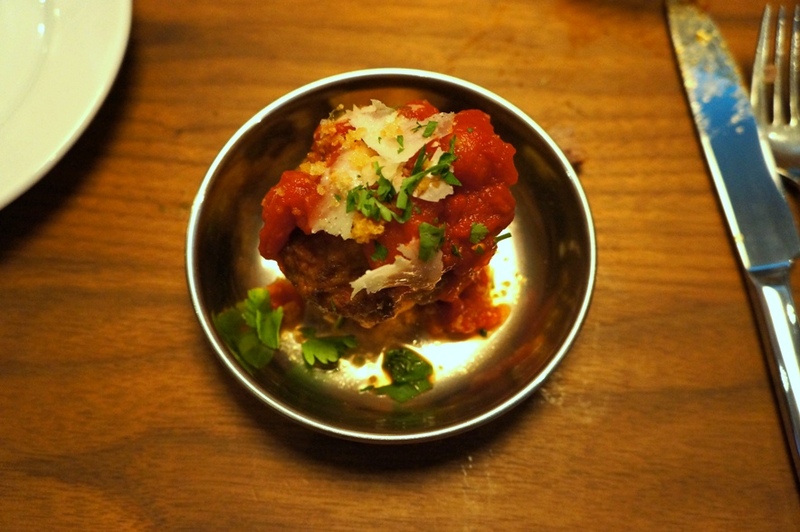 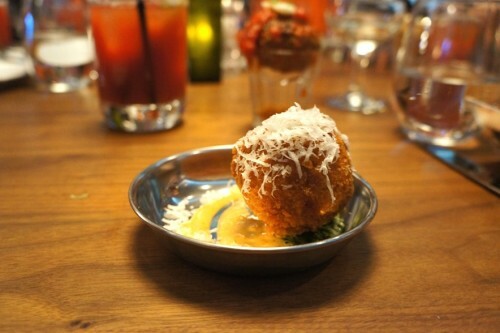 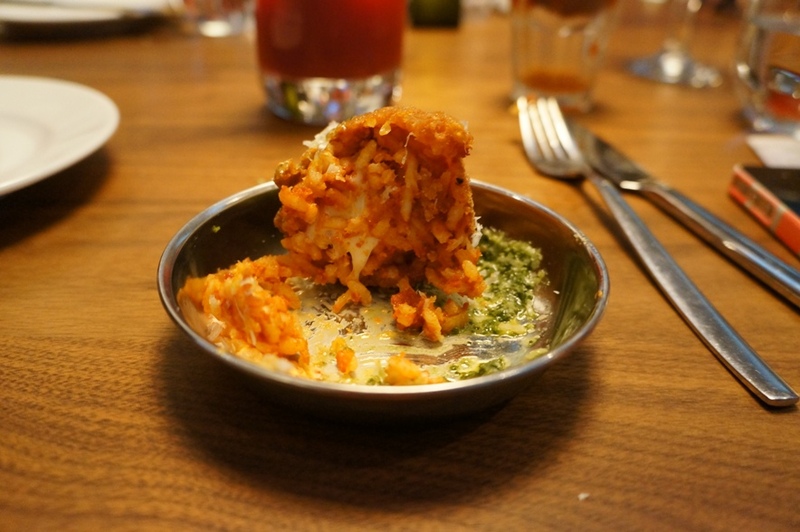 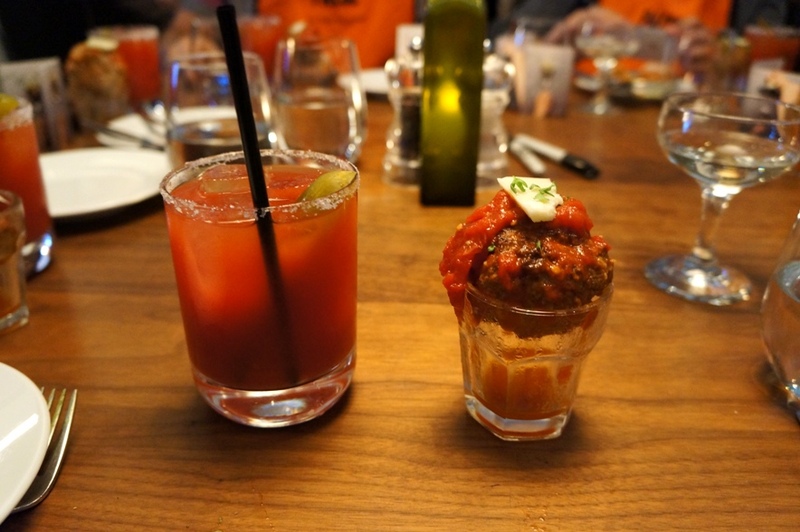 Here’s a look at their new offerings, starting with The Ducé – aka the meatball Caesar. 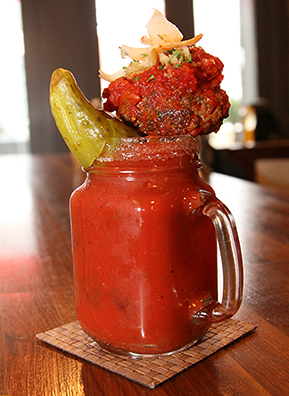 It’s a new drink on their spring cocktail menu made with a delicious San Marzano tomato sauce and topped with a big, juicy meatball. 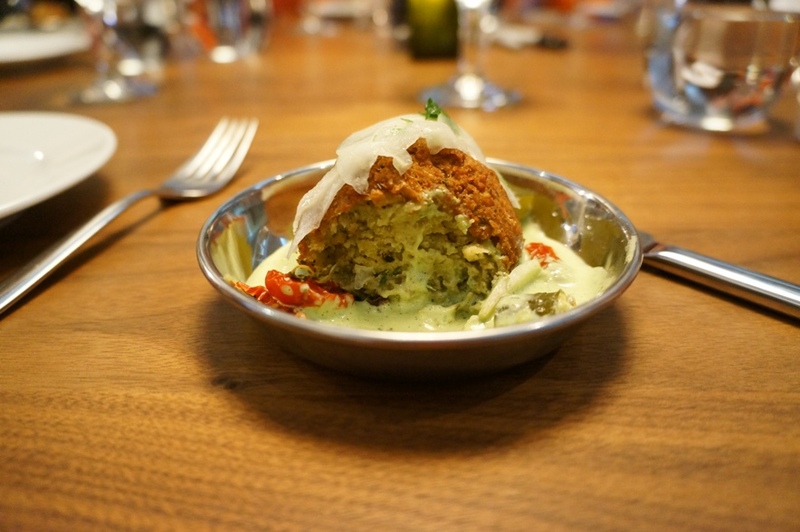 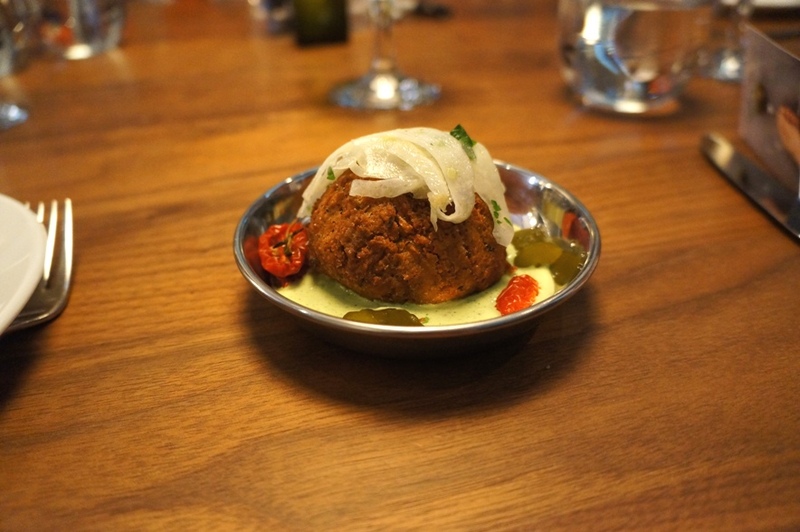 Falafel Ball – chickpea and fava bean falafel, pickled cucumber, cured tomatoes and green goddess crema. 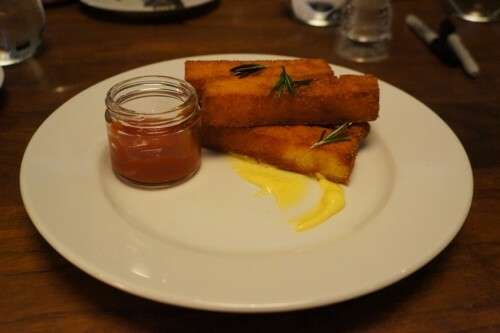 A great option for vegetarians! 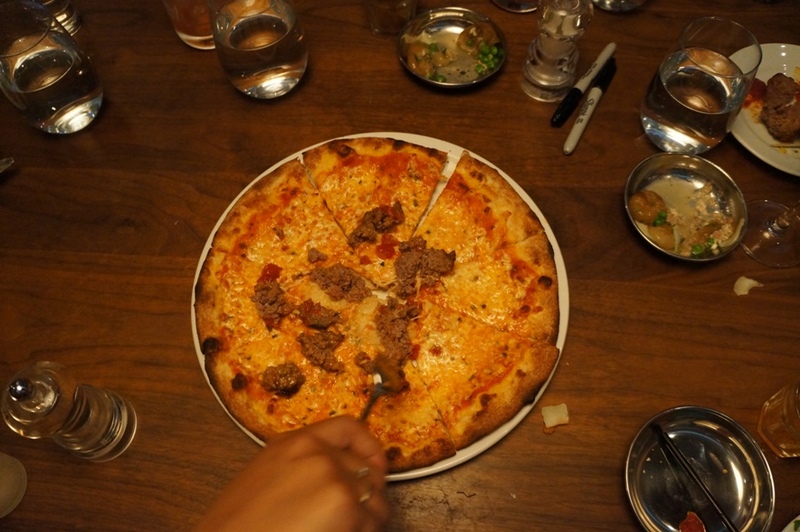 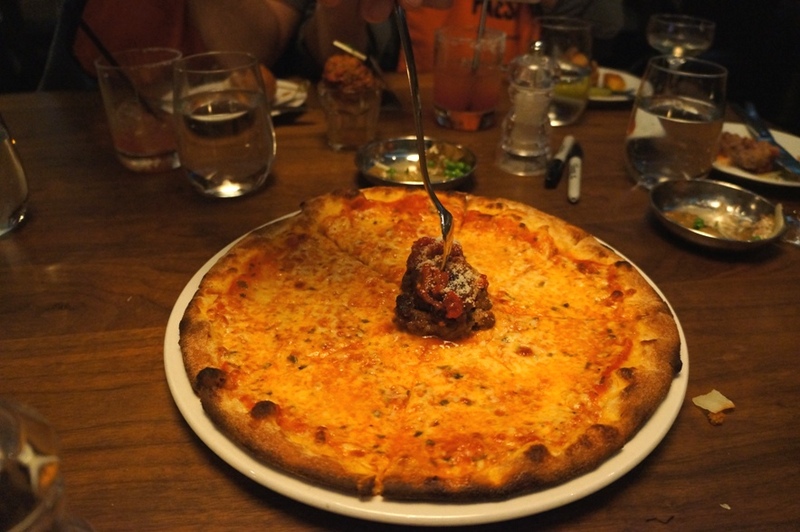 The margherita pizza was topped with a large meatball which was smashed right at our table! 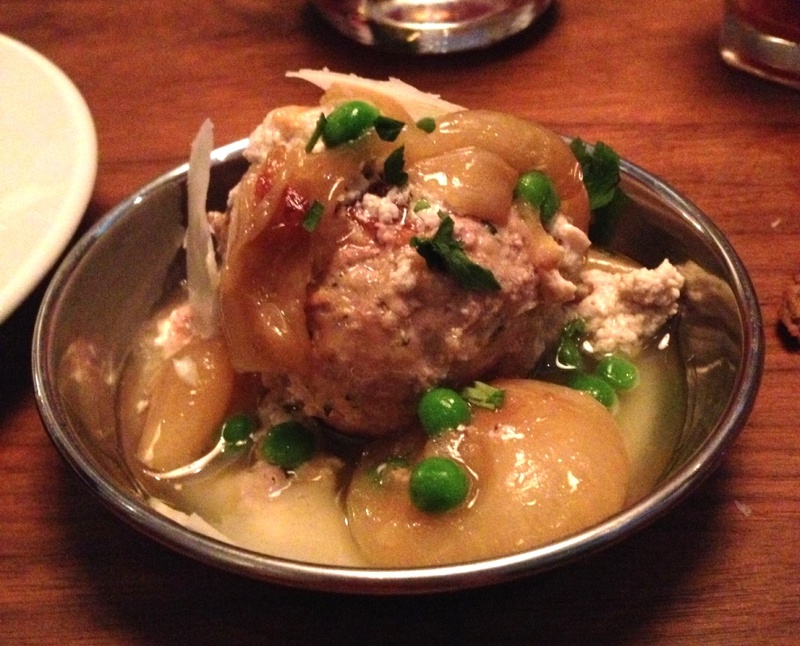 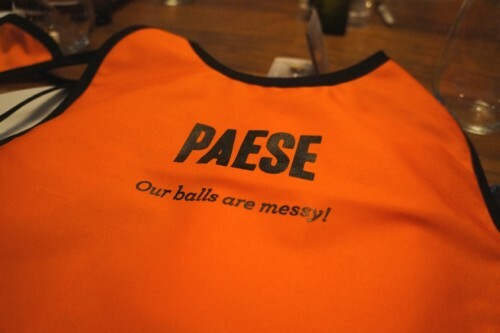 Paese has certainly created an extensive menu of meatballs. 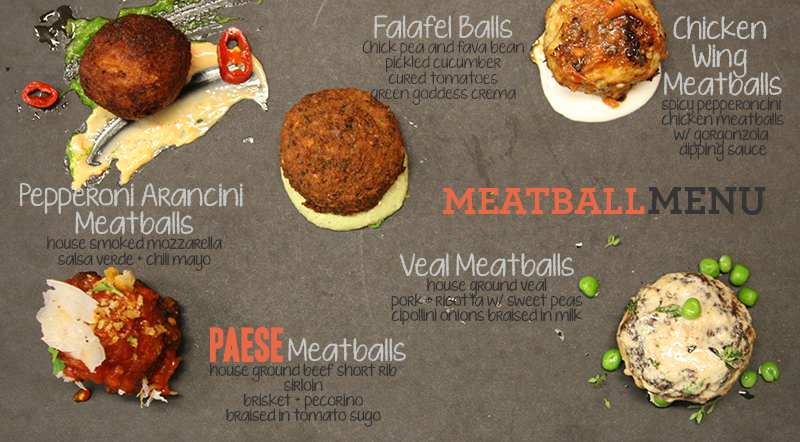 My favourites were the veal and chicken wing meatballs but there’s definitely something for everyone here. 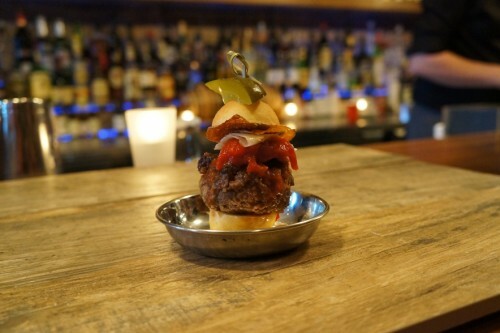 They’re open until midnight 7 days a week so if you ever find yourself in need of a late night bite, check ’em out!